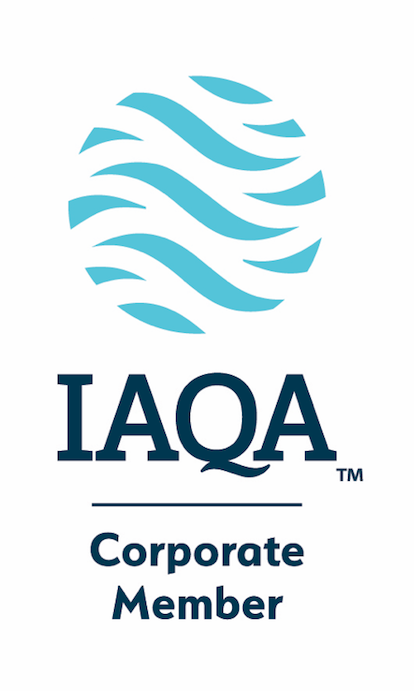 Effectiv is a proud corporate member of both the Indoor Air Quality Association (IAQA) and the Water Quality Association (WQA)! Through our experience in MEP design, mechanical engineering, and energy reduction plans, we frequently meet facility managers and project managers looking for solutions to indoor air quality (IAQ) and water quality (WQ) issues. IAQ and WQ are common concerns for industrial and commercial buildings. Even more so, these are major concerns for institutional buildings such as schools, hospitals, and laboratories where the comfort, well-being, and productivity of the buildings' occupants is of utmost importance. While MEP, energy conservation and sustainable building design has alway been our focus, we realize the growing awareness and importance of creating comfortable, healthy buildings. The effective design, implementation and management of IAQ and WQ systems not only allows for optimal occupant comfort and well-being, but ties back to our goal of energy savings and conservation, by allowing HVAC systems to run at maximum efficiency. In terms of WQA, the EPA has set standards for over 80 contaminants that may occur in consumers' water and pose a risk to human health. These risks include "Acute Effects", occurring within hours or days of consuming a contaminant, such as microbes (bacterias and viruses); or "Chronic Effects" which occur over the course of many years and are typically caused by chemicals, radionuclides (such as radium), or minerals (such as Arsenic). "Why wouldn't building managers utilize IAQ treatment methods to clean their air, protect their occupants, and save a substantial amount of energy and money?" This is still perplexing to us. It could be that there is not enough awareness around the environmental, economical and biological benefits of IAQ treatment methods. It could be that there are not enough Professional Engineering firms with the expertise and experience in Air, Water & Energy Engineering that also have the expertise and experience in the "Economic Engineering" that goes into being able to deliver an advanced, innovative and cost-effective IAQ, WQ, and/or Energy Reduction Project. Through our experience and expertise in being able to aggregate the most appropriate utility incentives, grant funding, tax benefits, financing solutions, & energy cost savings - we are ALSO able to improve your bottom line while off-setting capital investment AND exceed your sustainability goals. "Why wouldn't building managers utilize commercial water purification methods to clean their water, protect their occupants, and save a substantial amount of energy and money?" This is still perplexing to us, it could be that there is not enough awareness around the environmental, economical and health benefits of commercial water purification methods. Is saving a substantial amount of energy and money in addition to providing safe and clean water to your commercial building important to you? Sorry - we cannot answer this one for you.This is a question that you will have to ask yourself, but we hope that this information helps you to see the importance of indoor air quality and water quality along with the benefits to your occupants AND your bottom line. If you find that your answer to the last question is "Yes! ", we are happy to help you reach your environmental and economical goals of health, comfort and savings through indoor air quality and water quality improvements. Contact the Effectiv Team at the link below to learn more..
Our user-friendly Effectiv IAQ Energy Savings Calculator tool will allow for real-time estimates on how much your facility can save by implementing our client tailored IAQ treatment methods. For more information on this tool and/or our IAQ & WQ methods, please contact us using the below link. Step into the fresh air with us and save!